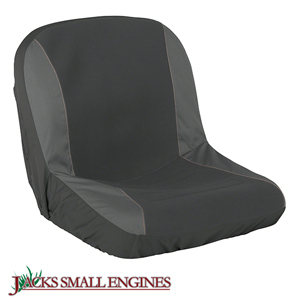 Ask us about the Classic 5214538040100 Large Neoprene Paneled Tractor Seat Cover. Please no repair questions. Your Q&A may be posted to Jackssmallengines.com to help other shoppers, like you, with their purchasing decisions. Thank you. Stanley, this cover fits backrests 17" – 19" high, with or without armrests.